 use of external vibration to stimulate the internal maximum fluctuations, resulting in the maximum row of shear stress to promote the effect of stress relief. Each material, shape, and weight have a special fluctuation pattern. ✔ The impact caused the local force too much will be injured. 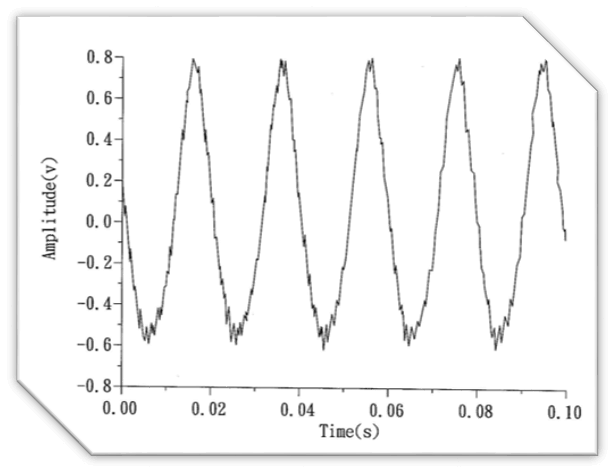 The maximum magnification vibration of the sub-resonance (2/3 resonance point) and the resonance point interval should be avoided​. Vibration lateral vibration power can not be too large, to avoid double-headed oscillator. Oscillation force should be selected according to the weight of the workpiece appropriate oscillator or adjustable excitation type. 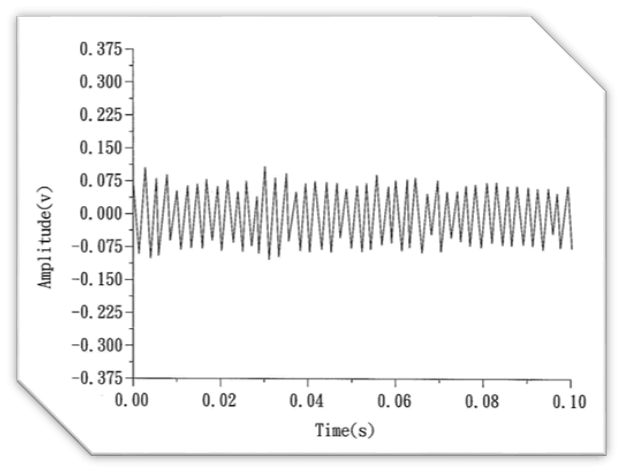 During the vibration stress elimination process, the A-F curve of the spectral data is generated: the peak of the curve after the vibration is higher than the front of the vibration, the peak after the vibration of the vibration before the left and the width of the curve after the vibration Narrowing and so on, so the vibration process must be synchronized at any time to update the construction of the vibration frequency. 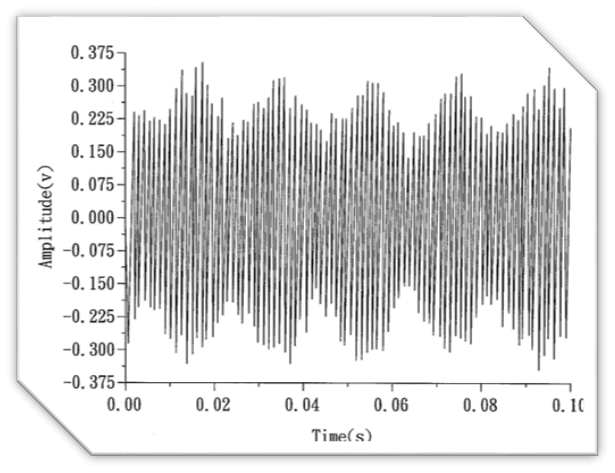 Giant vibration, the smallest micro-vibration. Appropriate giant vibration, the largest micro-vibration​. 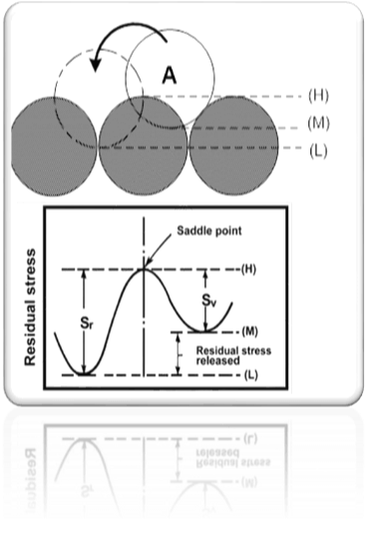 From the energy point of view, in the object with residual stress, the residual stress is M before the vibration and the lowest demand for the A atom to move to the dotted line, as shown in the figure below the high residual stress. When the stress provided by the vibration plus the residual stress can exceed H, the A atom can fall across the barrier between the atoms and fall to the low point L, so that the residual stress can be released, and the residual stress released is ML, the type of atomic arrangement (b ), Because the A atom has been in the lowest energy position, unless the supply of HL stress can not make A atoms continue to move, and when the stress has been released, the vibration force is far less than this, so A row of atoms will not be able to move, Forming a major difference row to form two partial rows. The overlap with respect to (a), (b) is increased. 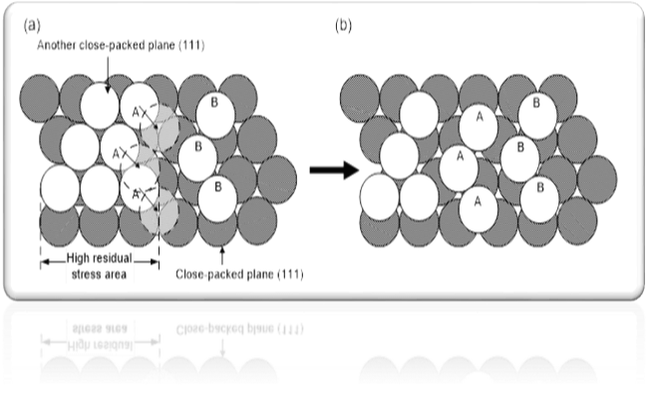 The larger the amplitude, the greater the shear stress, shear stress in the larger case, the atomic (high strain energy state) can be reduced to the atomic equilibrium state (low strain energy state), the residual stress to eliminate the better. 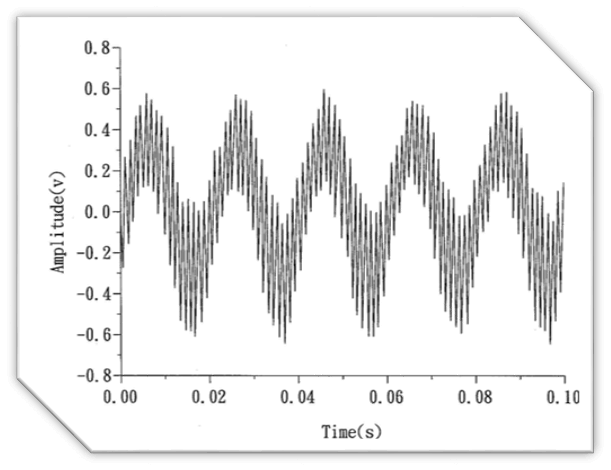 The higher the frequency, the shorter the wavelength, the greater the number of points with the largest amplitude, the higher the probability of pushing the atoms (high strain energy), and the better the residual stress. 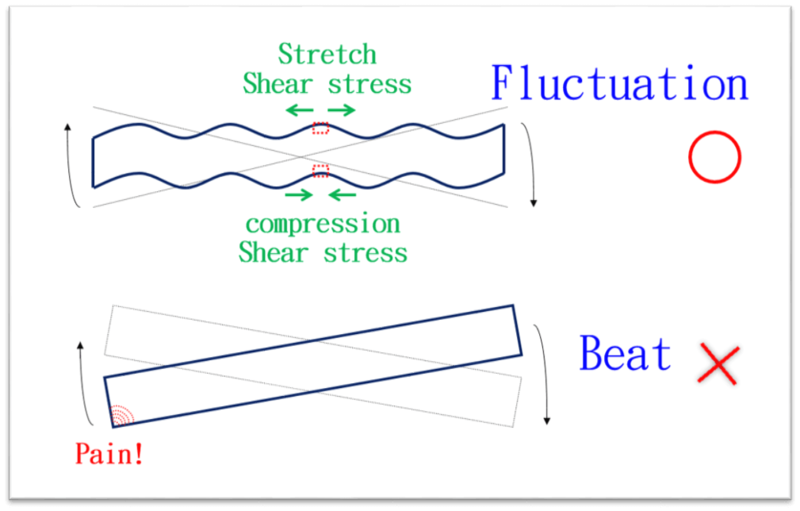 The twisted lattice is the existence of a "lattice strain energy", the greater the internal lattice strain energy, that is, the greater the residual stress. The twisted lattice belongs to the spring-type springback mechanism, where there is a new external energy to stimulate the twisted lattice, so that the original stuck lattice is stimulated by external energy, the elastic return to the initial position becomes perfect lattice (perfect Lattice that is no difference row, no strain energy lattice structure), that is, the release of residual stress.